DFW AIRPORT, Texas, Sept. 6, 2017 /PRNewswire-USNewswire/ -- Customers from Dallas Fort Worth (DFW) International Airport will have new non-stop access to Reykjavik, Iceland, when WOW air begins service in May 2018. 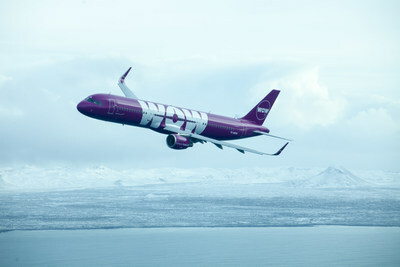 WOW air will serve the route three times per week on a seasonal basis, utilizing Airbus A330 aircraft. "We're pleased to welcome WOW air to Dallas Fort Worth and look forward to providing our customers with another non-stop trans-Atlantic destination," said Sean Donohue, CEO for DFW Airport. "Reykjavik is a popular tourist destination, a growing market for international business and a convenient connecting point to continental Europe. We look forward to giving visitors from Iceland a warm Texas welcome when they arrive next year." "WOW air is thrilled to bring our low-fare, transatlantic flight service to Dallas Fort Worth in May 2018," said Skúli Mogensen, CEO and Founder of WOW air. "Dallas Fort Worth is a world-class region and we can't wait to give European travelers the opportunity to experience all that Texas has to offer." The new route will open up more travel choices for DFW customers via the WOW air hub in Reykjavik, which serves 22 destinations in Europe and the Middle East. Travelers from Iceland can take advantage of DFW's Terminal D that features highly efficient customs processing as well as world-class shopping, dining and amenities, and flight service to points across North America, Central and South America. When it launches service in May 2018, WOW air will be the 16th international carrier to serve DFW International Airport. Dallas Fort Worth International (DFW) Airport earned the distinction of the best large airport in North America for customer service in 2016 from Airports Council International. DFW Airport warmly welcomes more than 65 million customers along their journey every year, elevating DFW to a status as one of the most frequently visited superhub airports in the world. DFW Airport customers can choose among 167 domestic and 57 international nonstop destinations worldwide. DFW is elevating the customer experience with modernized facilities and updated amenities, as well as through a $2.7 billion Terminal Renewal and Improvement Program. Centered between its owner cities of Dallas and Fort Worth, Texas, DFW Airport also serves as a major economic generator for the North Texas region, producing over $37 billion in economic impact each year by connecting people through business and leisure travel. For more information, visit the DFW website.